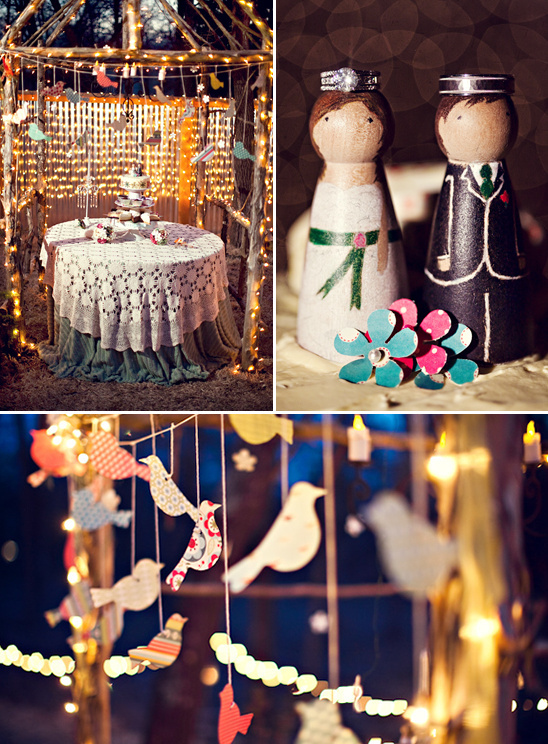 Our next wedding is literally homemade. 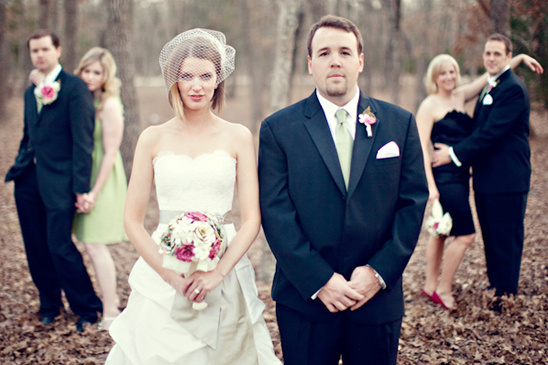 The entire wedding including the ceremony and reception was held at the bride and groom's house. 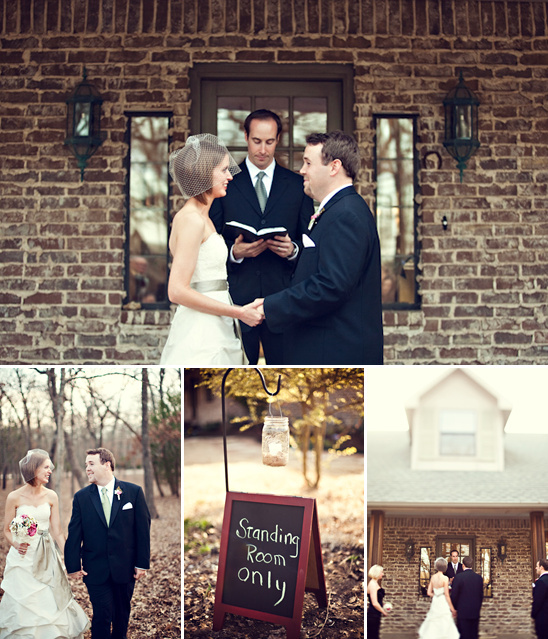 The Ceremony was held on their front porch and the reception held in the backyard, which they renovated specifically for the wedding, including a huge deck and fire pit. 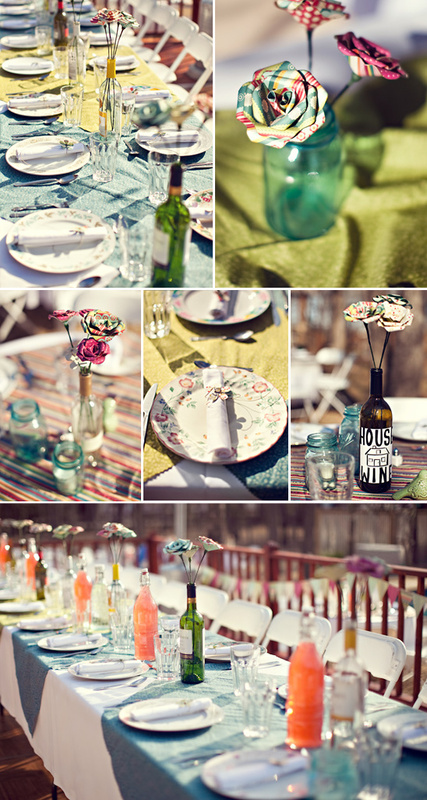 A wedding sounds like the perfect reason to do some home renovations to us. 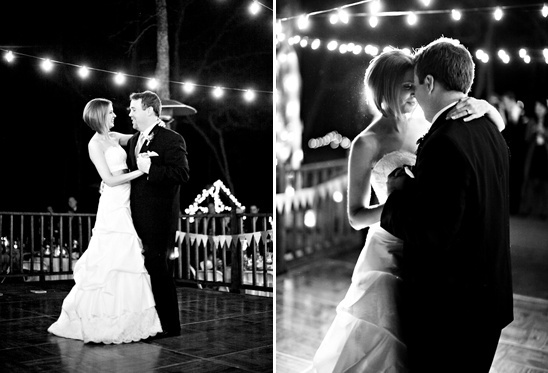 To see more of this Texas DIY Wedding captured by Stacy Reeves Photography click here. 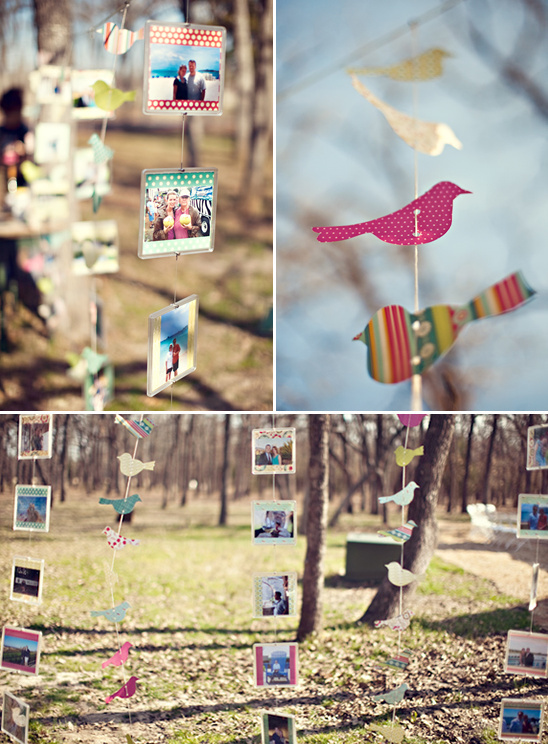 Everything you see from the bouquets of paper flowers, bunting banners, and paper doves, all made out of scrapbooking paper. All entirely handmade by the bride, Darien, who basically spent the entire engagement carrying around a bag of scrapbooking paper and scissors, and whenever she had a free moment (such as sitting in traffic or waiting in line at a store) she would pull out her supplies and work on he wedding decor. 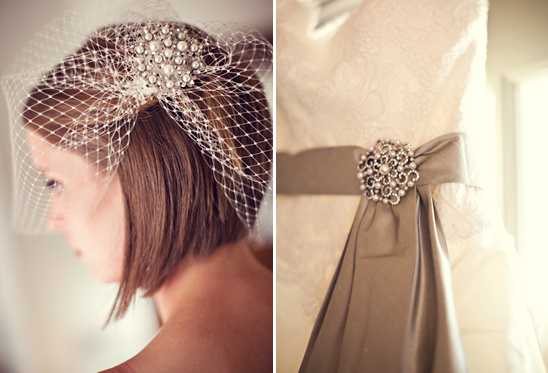 Being a diy bride takes some serious dedication. 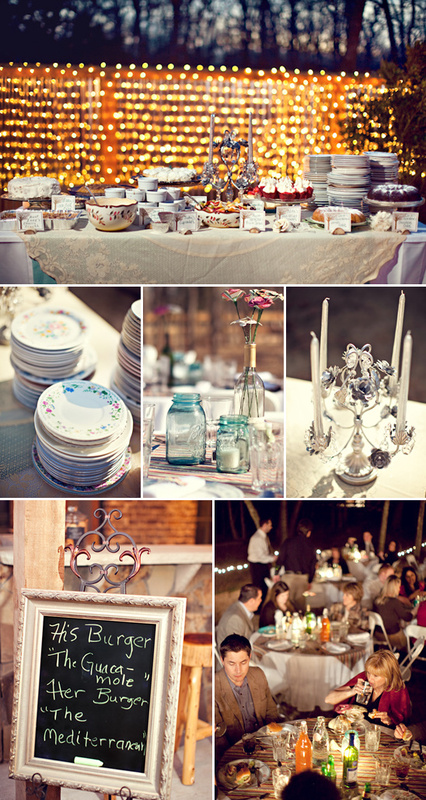 They served custom "his and hers" gourmet burgers and gave out mason jars filled with freshly baked cookies as favors. 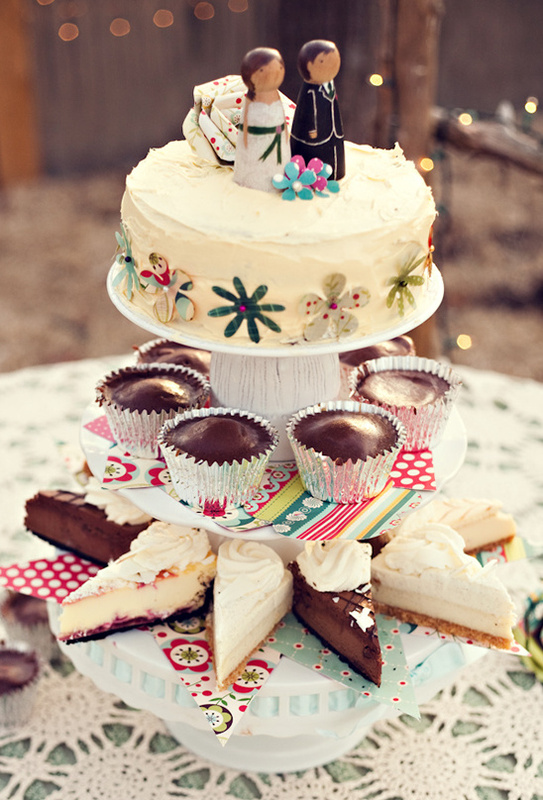 In addition to the wedding cake (which actually had a mixture of cake, cupcakes, and cheesecakes), they also had a potluck dessert bar that included several different sweet dishes named after and prepared by their friends and relatives. 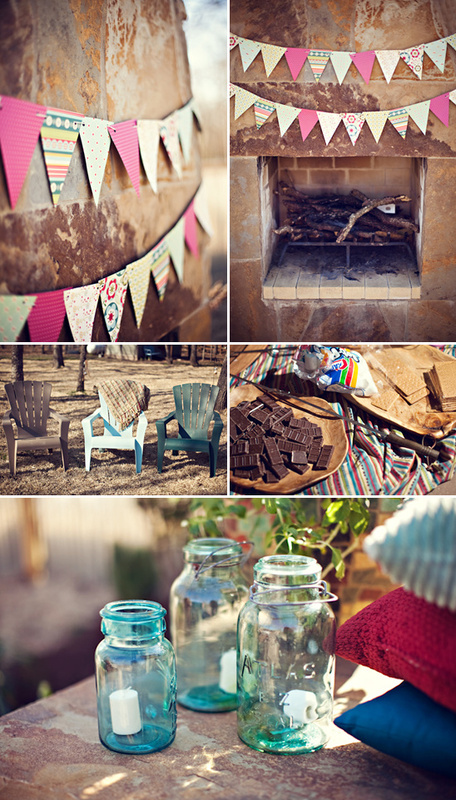 Besides all of that sweet goodness, there was a s'mores bar by the firepit. 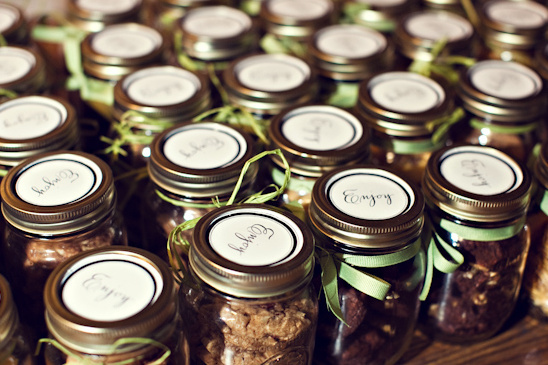 We can confidently say that mason jars filled with homemade cookies are one of our favorite wedding favors. Not only are they personal and tasty, but they also will not break the bank. You can even make a party out of it. 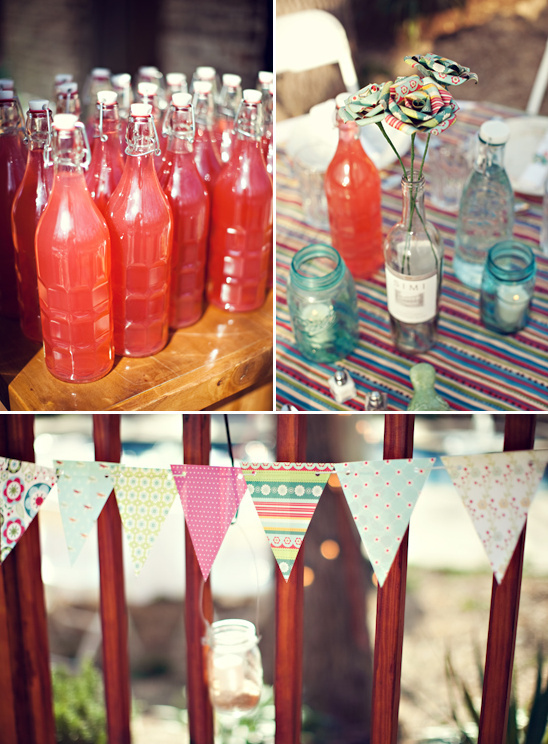 Gather up your bridal party and anyone else that is handy in the kitchen and get baking. If you are feeling really crafty you can include the recipe in a little card attached to the jar.